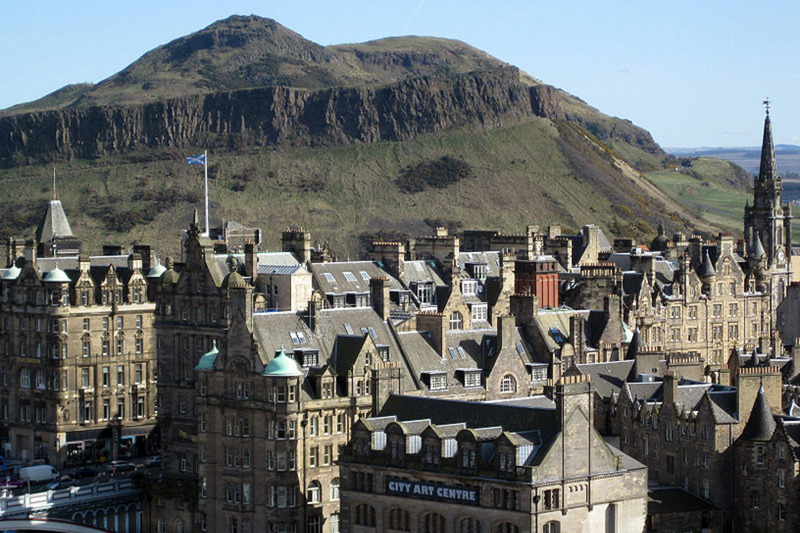 Life has existed around Edinburgh since 8500 BC. In the 5th Century BC the Greeks had created civilisation, democracy and the theatrical masterpiece, Medea. When the Romans arrived in Edinburgh in 638 AD, the Scottish were still on a 2000 year journey to discover Andy Stewart and Donald Where’s Your Trousers. Edinburgh is not the largest industrial city. It has the second largest financial centre in the UK, the highest percentage of professionals in its population, four universities and, thanks to Blackwell, a decent publishing industry. Edinburgh is refined. I almost had a honeymoon in Edinburgh. It consisted of two bus trips to the Capital from nearby Bathgate. My wife and me drank in the Victorian bar Cafe Royal and had to endure self-satisfied folk music. The bar still exists and is worth a visit. There is plenty of good beer in Edinburgh but the bar, Ushers, is reliable. When I was young, I disliked the snob appeal of Edinburgh but now the City always makes me want to stay longer. It exists as a reminder of how life used to feel before Thatcher came to power. People want culture as much as they do money. The Festival may be burdened with the weird and mediocre but it is a positive force, and Edinburgh is great for theatre, cinema and bookshops. The horror story of modern consumerism is hidden in retreats called malls, all located outside the city. 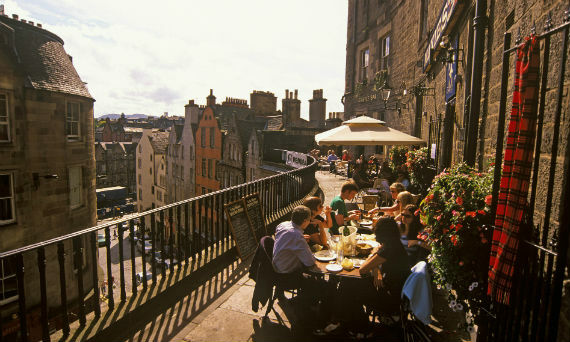 No doubt, the romance of Edinburgh consists of deceit and illusion. The Old Town that now defines the best urban panorama in Britain was a residential and public health disaster before the New Town was built in the 18th Century. The novel Trainspotting and its heroin addicted heroes lived in the suburb Leith. The cultural and educational achievement of Edinburgh has added prestige to the Scottish nation and produced icons like David Hume and Robert Louis Stevenson. The underclass of Edinburgh, though, is brutal and destructive. Despite the desire to shock, Trainspotting somehow shares the smug superiority of the refined that it condemns. But, although semi-literate, it deserves its status as a cult novel. Hume argued that morality and conduct was rooted in passion and sentiment and not reasoning. If he ever reads Trainspotting, he may change his mind. Modern analysts have insisted that the view of Scotland as left wing and communal is wrong. So the sense of pre-Thatcher order that I experienced on Princess Street might have been sentimentality. Perhaps but those who have doubts about the distinction between Scotland and England should watch coverage of the civilised Scottish Parliament. Lacking English class warfare and the imitations of boorish aristocratic conquerors, their rational debates are as remote from the House of Commons as 5th Century Greece was from 1st Century AD Scotland. 91.7% of the population of Edinburgh is white. This compares to 96% in the rest of Scotland and is a pleasant feature in a Capital where, I hope, Social Democracy is still supported. The Islamic population worships in the Edinburgh Central Mosque. Scotland is not noted for fine food but Edinburgh is the exception. A night out in Edinburgh is as expensive as London but size and attitude are important and Edinburgh has the advantage in both. Next week, idols and disillusionment, Falkirk. Howard Jackson has had three books published by Red Rattle Books. His 11,000 mile journey around Brazil is described in Innocent Mosquitoes. His next book is a compilation of horror stories and is called Nightmares Ahead. It will be available very soon this Spring. Posted in Andy Stewart, Bathgate, Cafe Royal Edinburgh, David Hume, Edinburgh, Edinburgh Central Mosque, Holyrood, Margaret Thatcher, Medea, Princess Street Edinburgh, Robert Louis Stevenson, Trainspotting, Ushers Edinburgh and tagged Britain, history, politics, travel on April 17, 2015 by Howard Jackson.